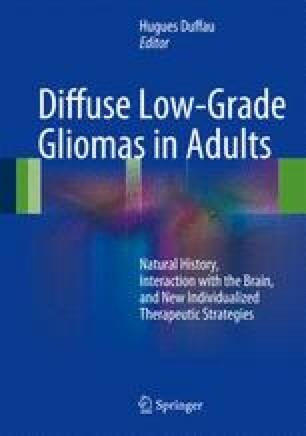 The radiotherapeutic treatment of low-grade gliomas (LGG) has been a matter of discussion for centuries. Several studies have focused on the adequate dose, timing of radiation, or on combination treatments. Target volume definition is essential for high-end radiation therapy and requires strong interaction with imaging disciplines. Follow-up should be regular, including clinical assessment, imaging, and neurocognitive assessment.